SKU: CR-9672 Categories: Men's Outerwear, Polyester Jackets, Men's Clothing, Men's Jackets, Orange Brands: Charles River Apparel. Wind & water-resistant Softex Polyester lined with contrast-colored mesh. 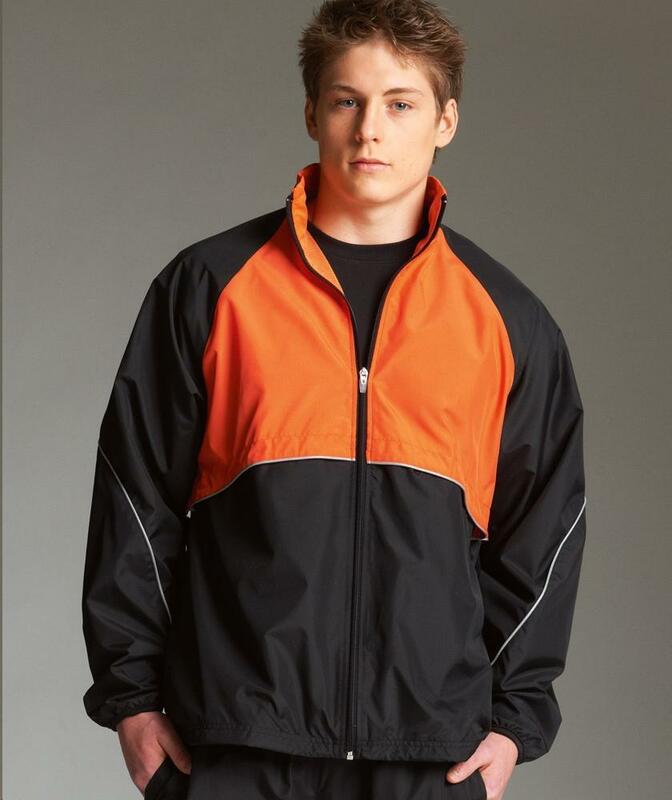 Reflective piping, contrast-colored zippers & cuffs with spandex binding for comfort. Covered zippered side pockets & vented front/back for breathability and decorating access. Open, dropped tail hem with shockcord drawstring provides extra coverage.